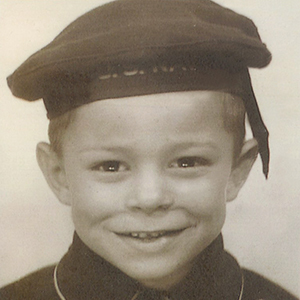 As a young man, Pastor Jim was called to “make Jesus real” to the world. During the golden era of television, he was divinely inspired on what medium he could use to do just that. He dreamed of a night-time Christian talk show-one that could display the format and quality of The Tonight Show hosted by Johnny Carson. In 1966, his dream came true. 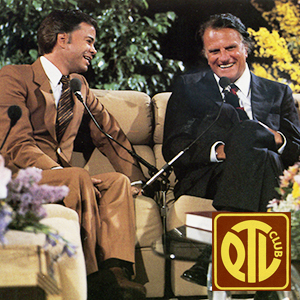 While hosting Come on Over, a children’s show, on Pat Robertson’s fledgling Christian station in Virginia, Pastor Jim became the founder and host for the first Christian talk show – The 700 Club. For eight incredible years, Pastor Jim hosted the ground-breaking variety show with the top ministers and singers of the day. Pastor Jim and his family later joined Paul and Jan Crouch in California to pioneer a new television ministry. Pastor Jim was the first President and a founder of Trinity Broadcasting Network, which today, still beams around the world with 24-hour a day Christian programming. In 1974, Pastor Jim relocated to Charlotte, North Carolina to birth one of the most dynamic ministries the world has ever known-The PTL Club, The Inspirational Network, and a state of the art Christian retreat center called Heritage USA. At the height of the ministry, there were 86 religious services held a week at Heritage USA. By 1986, Heritage USA was the third most visited destination spot, following Disney World and Disneyland. Pastor Jim also pioneered Christian television in 52 nations as well as founding Heritage School of Evangelism, Heritage Academy and related schools. In addition to his many responsibilities at PTL, Pastor Jim authored more than ten books, and developed several special editions of the Bible. 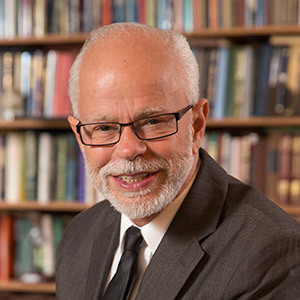 In 1987, Pastor Jim Bakker resigned as President of PTL after a moral indiscretion he had committed seven years earlier that was brought to the public’s attention. PTL was placed into bankruptcy by its new management and in 1989 Pastor Jim was indicted and sentenced to 45 years in prison on charges of overbooking the lodging space at Heritage USA. Pastor Jim was re-sentenced in 1991 to 18 years and then later reduced to eight years in Federal prison. He was released on parole in 1994 after serving five years. On July 22, 1996, a Federal Jury ruled that PTL was not selling securities by offering Lifetime Partnerships in Heritage USA, affirming what Pastor Jim said since the very first day he was indicted. His case was overturned and the judge was dismissed from the case. 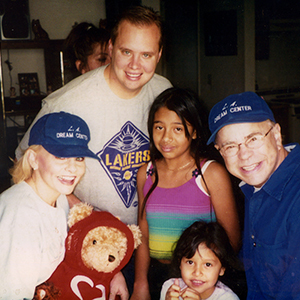 In 1998, while working in the inner-city ministry of the Dream Center of Los Angeles, Pastor Jim met Lori Graham. After an abusive marriage of years of substance abuse, Lori founded a ministry of women who were suffering the emotional scars from abortion. They married that year and have totally dedicated their lives to ministry. In 2002, Pastor Jim and Lori were blessed with the happiness of expanding their family with five beautiful children from the inner-city of Phoenix where Lori had ministered for years. In that same year, Pastor Jim and Lori were offered the opportunity to move to Branson, Missouri to begin the Jim Bakker Show. Sixteen years to the date that Pastor Jim had made his last broadcast from PTL, he and Lori launched their new television ministry from Branson, Missouri. With the help of PTL Partner, Jerry Crawford, the ministry staff converted a bar/restaurant to a café/television studio called Studio City Café. In 2008 The Jim Bakker Show began broadcasting from a new Christian Retreat Center called Morningside located just outside Branson, Missouri. This 700-acre property is a thriving Christian community that also serves as the backlot for The Jim Bakker Show and other outreach ministries as well as the Morningside School of Media and Lori’s House, a safe, supportive home for pregnant women in difficult situations. Pastor Jim is considered to be one of today’s experts on the Book of Revelation. Since prison, he authored, I Was Wrong, The Refuge, Prosperity and The Coming Apocalypse, and more recently Time Has Come: How to Prepare Now for Epic Events Ahead. The messages of his books are filled with revelation and restoration. Teaching and preaching the Word of God and the promise of the return of Jesus Christ are his driving force today. God has prepared him for such a time as this. Restoration is the focus of Jim Bakker’s message to the world. In 2015, God delivered the PTL Television Network back to the Jim Bakker ministry. In 2016, the man who walked with Presidents was restored with a phone call from President Donald Trump to thank him for his hard work during the campaign. Jim and Lori Bakker were also welcomed by diplomats, members of Congress, prophets, government leaders and the amazing workers of Washington DC for the 2017 Inauguration where they joined hundreds of Christian leaders in prayer for our President and country. “For we know that in all things God works for the good of those who love him, who have been called according to his purpose.” These words from the Bible are a testimony of the 56 years of Jim Bakker’s Ministry. Today, The Jim Bakker Show offers a platform for today’s prophets and an open environment to unlock the mysteries of End Day prophecies. Pastor Jim searches to find the truth, beyond mainstream media, finding experts on recent events with amazing teachers that bring understanding of the promises of God’s word. Dr. Lance Wallnau, Rabbi Jonathan Cahn, Bobby Conner, Lt. Gen. Jerry Boykin, Brigitte Gabriel, Don and Mary Colbert, Mike Huckabee, Anne Graham Lotz, Mark Burnett, Roma Downey, and Dr. David Jeremiah are only a few of the amazing men and woman of God that Jim Bakker has welcomed onto the set of The Jim Bakker Show. Millions relate to Pastor Jim and Lori’s testimonies of the redemptive power of love. If God can put Pastor Jim and Lori’s lives back together, then He can do it for anyone!